LED Square Heat Sink L190xW70xH30mm/L190xW70xH50mm; Design for Hibay,floodlight and street light,6900-9900lm; Rth0.7°C/w~0.9°C/w; Suitable for 45w/50w/52w/55w/60w/65w/70w; Without hole or custom mounting holes for Zhaga book 3 LED modules; Standard finish - Black anodized. MINGFA abides by the service concept that we always put customers' satisfaction first. We strive to provide professional consulting and after-sales services. MINGFA will stick to the business which is quality, innovative and efficient. Our corporate spirit is to be cooperative, optimistic and positive. Keeping pace with the times, we constantly innovate products to meet consumer demand. We are dedicated to providing more and better products and services. 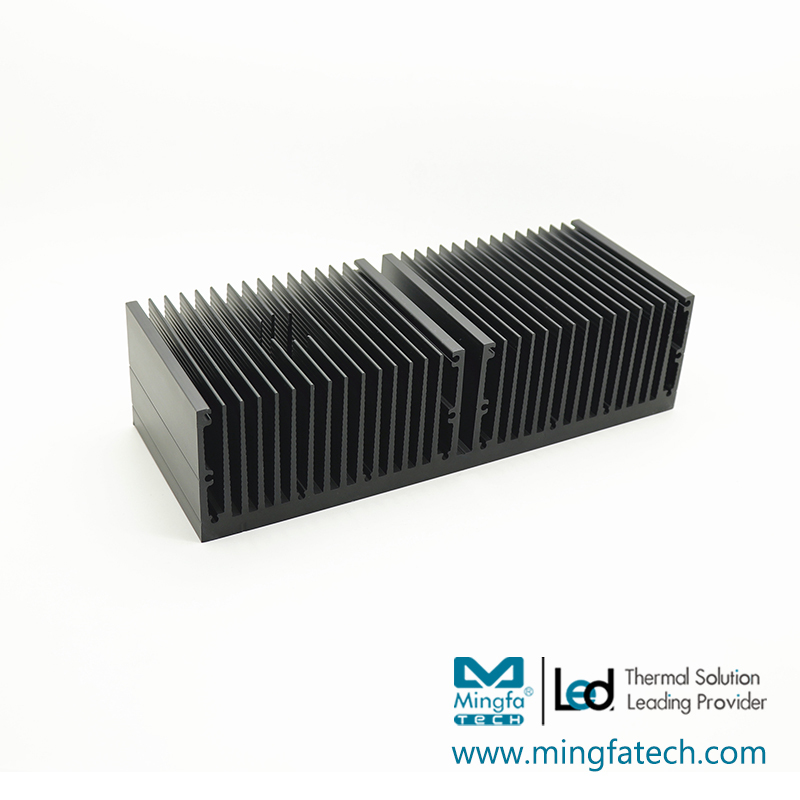 MINGFA's led heat sink are sold to the first- and second-tier cities in the country, which receive favors from numerous customers. MINGFA pays great attention to integrity and business reputation. We strictly control the quality and production cost in the production. All these guarantee cob led heat sink to be quality-reliable and price-favorable.MINGFA has a large-area production base. We equip the factory with complete production equipment. We could efficiently produce all kinds of led heat sink under the stringent monitoring and testing. 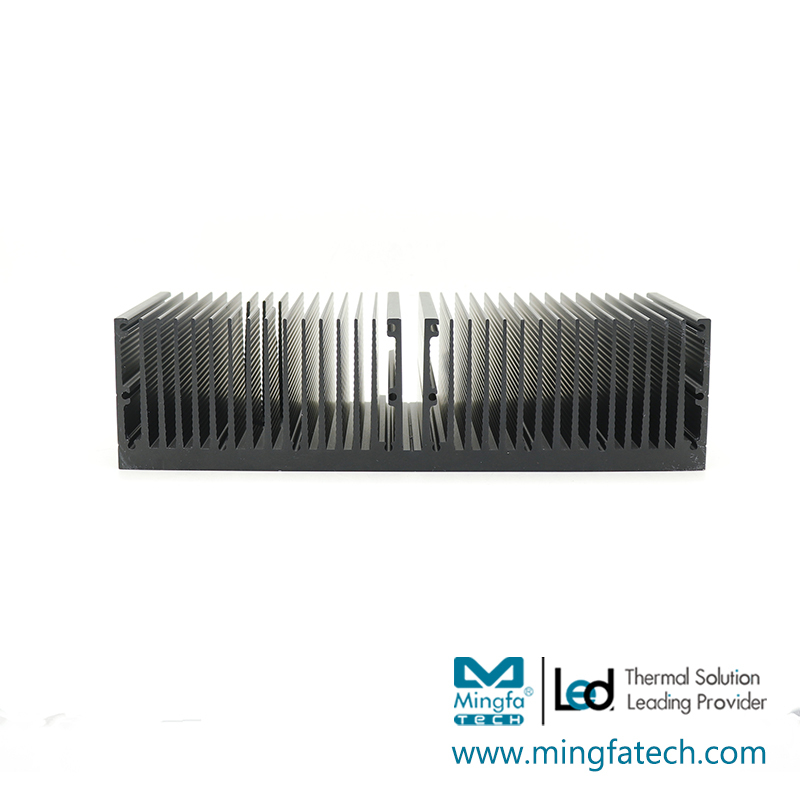 They are safe, reliable, solid and durable.Compared with products in the same category,MINGFA's cob led heat sink's outstanding advantages are as follows. The product is suitable for indoor and outdoor lighting design. Compatible with more than 20 SMD & COB brands. The fins are designed with wavy lines, which are suitable for flood light, street light and so on. AL6063-T5 thermal conductivity is 1.5 times higher than ADC12. Solid plate design to meet the IP65-IP67. 1. Mingfa Tech is a famous exporter in the field of . 2. To adapt to the company's product development needs, professional R&D base has become a powerful technical support force for MingfaTech Manufacturing Limited. 3. Excellence in quality of and being professional in service are what Mingfa Tech wishes. Get info!